We are always delighted when customers express their confidence in our service - we are proud to publish some of the comments here. Aston-Mansfield has been using HRBC since January 2009 and we have been impressed by the speed of turnround in providing documentation for signature-generally within 24 hours. We have had no problems with the service and staff are always on hand to answer queries-even at weekends sometimes! An excellent and reliable service. As a Sunday children’s language and music school with a number of adult volunteers, we need to carry DBS checks - to make sure that our pupils are in good caring hands. In many occasions this legal requirement has to be met very promptly in order to provide the smooth running, teaching and learning process without gaps or delays. We are truly grateful to HRBC for its brilliant services. In every case we have received full informational and practical guidance immediately. The support and help was superb and the speed of the completed Disclosure Certificate results was in a very short period of time - some times literally within hours! Every one of our questions or requests were replied to straightaway by e-mail or phone and we always felt very reassured in dealing with all complicated legal papers correctly and properly. We have recommended HRBC to colleagues in other language schools who are looking for a reliable and reasonably priced services and we also highly recommend HRBC to any other organisations that would need a fast, reliable and very high quality professional services. Some years ago I was involved in sending in CRB forms for many of our staff. The forms were constantly being returned because of insufficient information or omissions. Sending the forms back for further information was a constant irritant. In January of this year I began my present involvement with HRBC. I have to admit I was dreading it because of my previous experience with CRB Forms over ten years ago. 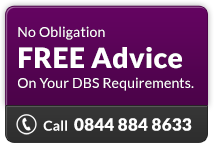 However due in particular to the helpful advice of John McCaffrey I no longer consider it a burden when I need to obtain DBS clearance for a staff member or a volunteer. What I like most about the service is the patience and understanding of the staff. I am also very impressed by the speed of the return of the Certificate, sometime in as little as five days. I would recommend this product and service because it makes life so much easier than dealing with paper forms. John supplied an excellent service for our trustees in a personal and friendly manner. He was helpful at every point and I would recommend him to anyone. Have only been using HRBC for just over a year but wish I discovered them sooner! The whole CRB process is just so much faster and the service from HRBC is outstanding - friendly staff and excellent customer service. John is always polite, friendly and helpful with every application I submit. He always comes across as a professional, trustworthy business man. Have used HRBC for 4 years for carrying out CRB checks and their service is excellent, very prompt, very efficient and very professional. Strongly recommend. Dave & John are always helpful, professional and calming, particularly when you have filled in the CRB form incorrectly or cannot continue through the various screens. They offer a good service. John is very friendly, knowledgeable and extremely helpful. Highly recommended.